To say that Chris Stratton is an enigma would be an understatement, even by the standards of Together We’re Giants. Last night Stratton dominated the Arizona Diamondbacks with eight stellar innings allowing only five hits, zero walks and striking out six. The most important stat: zero runs. 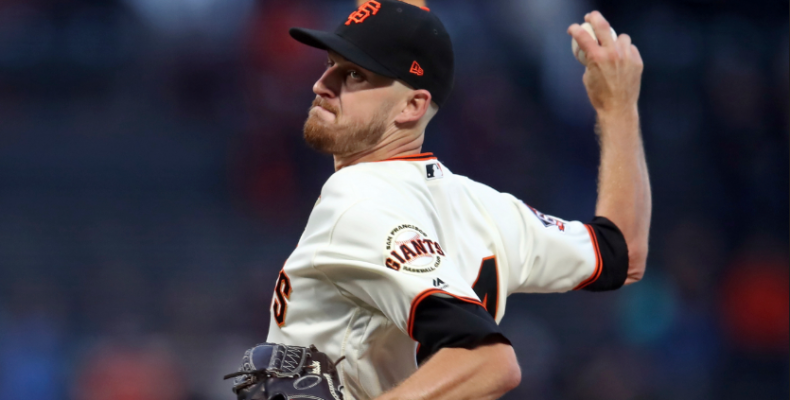 The Giants won and Stratton also earned his ninth victory of his very up and down season. It’s hard to tell which is the real Stratton: The guy we saw last night dominating a very good team or the inconsistent pitcher who bounces between AAA and the bigs to essentially lead a AAAA life. I’ve always found Stratton intriguing because of his ability to locate his curveball at any point in an at-bat or count. When he shut down the Nationals last season I thought the Giants were on to something with him. 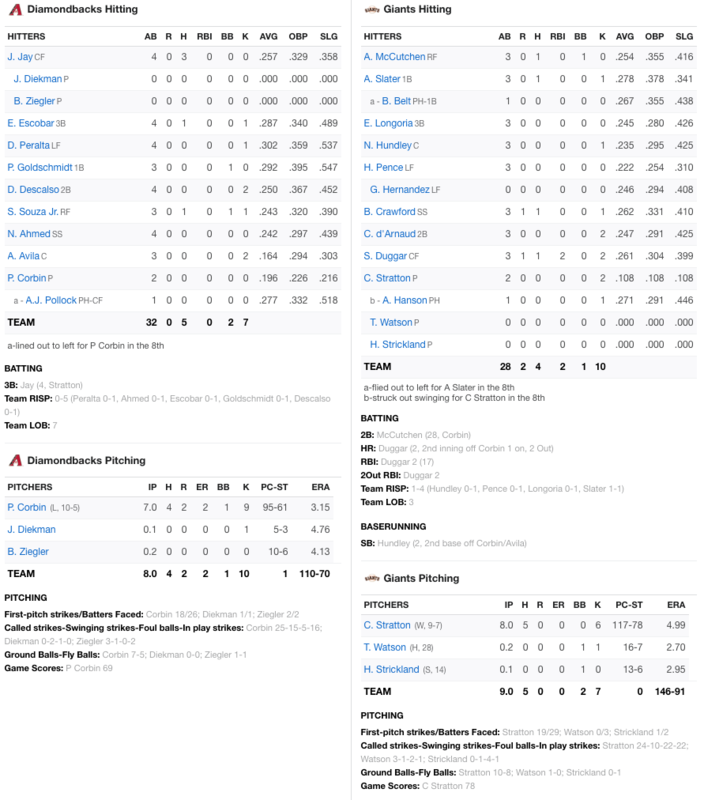 Steven Duggar hit a two-run homer in the bottom of the second and the Giants climbed back to within one game of .500. There is plenty to play for the rest of the way and kudos to our boys for bringing home their third win in a row after a brutal loss to open this homestand on Friday. Tonight’ it’s Clay Bucholz against Madison Bumgarner. First pitch is at 7:15 PM Gaylord Perry Time.